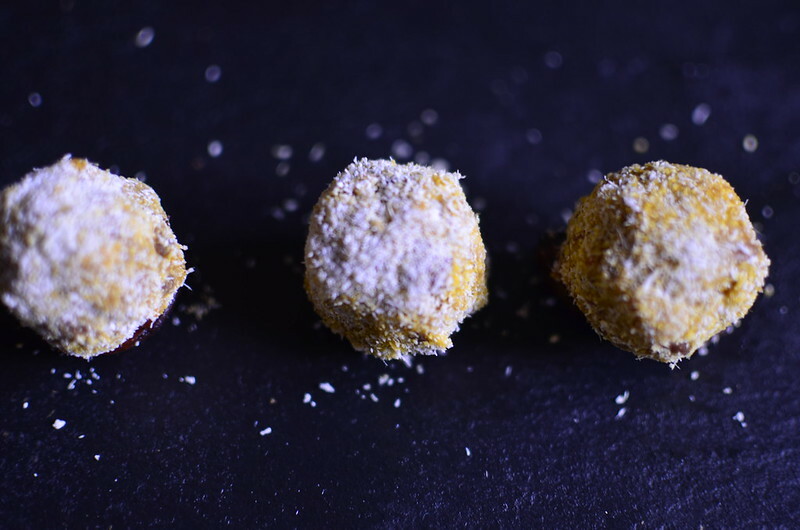 A chocolate truffle is a type of chocolate confectionery, traditionally made with a chocolate ganache centre coated in chocolate, cocoa powder or chopped toasted nuts (typically hazelnuts,almonds or coconut), usually in a spherical, conical, or curved shape. Truffles because having stewed beans, sprinkled with garri reminds me of eating chocolate truffles. 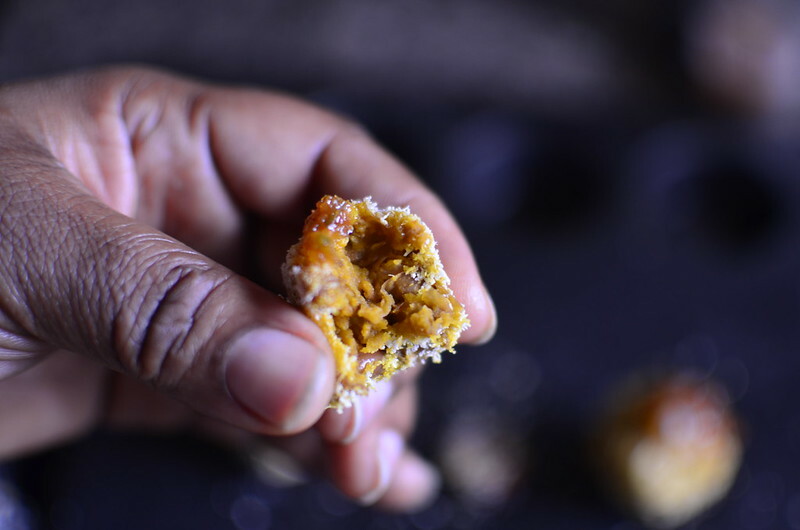 That contrast between crunchy outer and soft centre is a sensory delight. 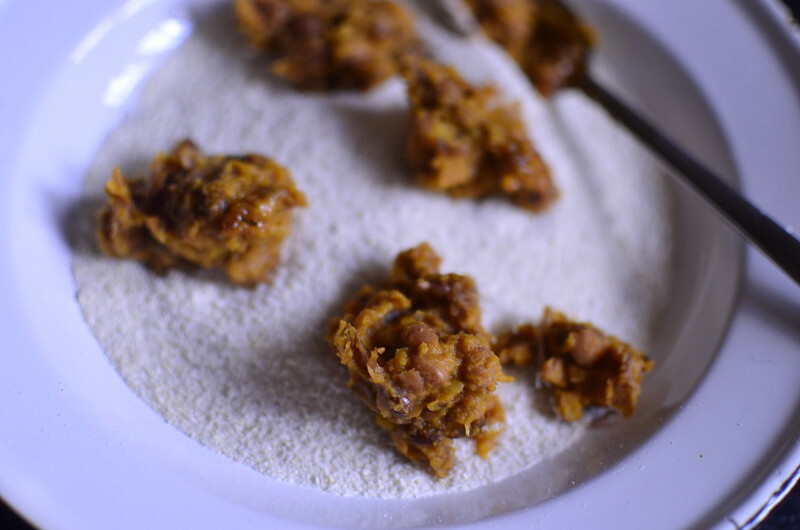 I grew up a garri lover, sprinkling it in the hollows of creamy, green avocado halves and over palm-oil and pepper sauced beans. 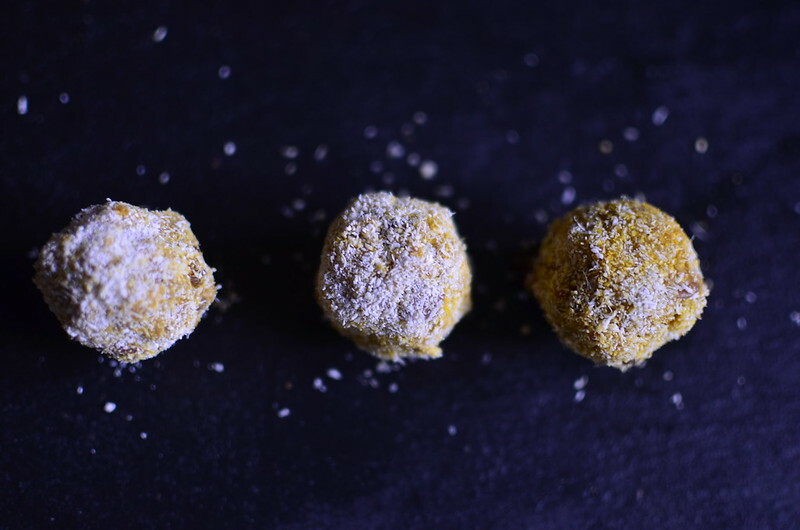 Then, in The Netherlands, I was sitting at my desk one day and had this strong craving for garri and avocado…because of my proclivity to experiment, I decide to make ‘Avocado truffles rolled in garri’. 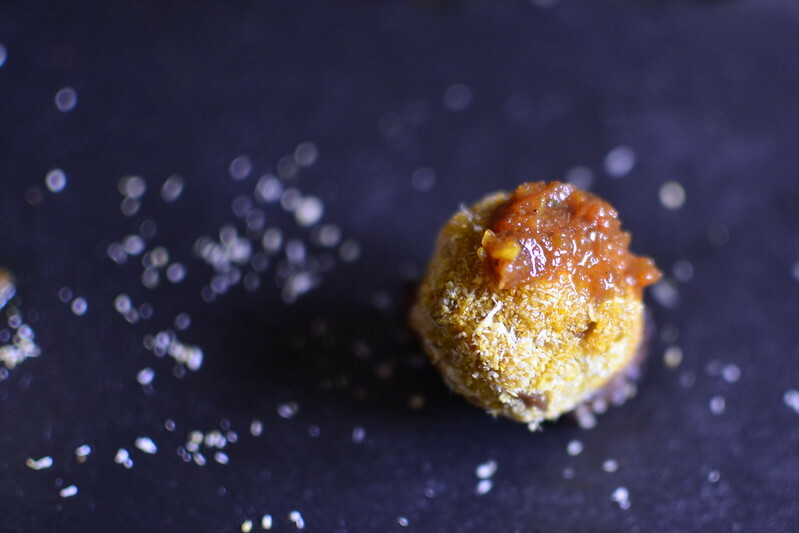 The combination was awesome – mashed avocados, seasoned it with salt and hot sauce and rolled in the finest sort of garri Ijebu, Wenku – a sour, finely milled garri that is almost like white sand on the beach. The result was delicious at room temperature. 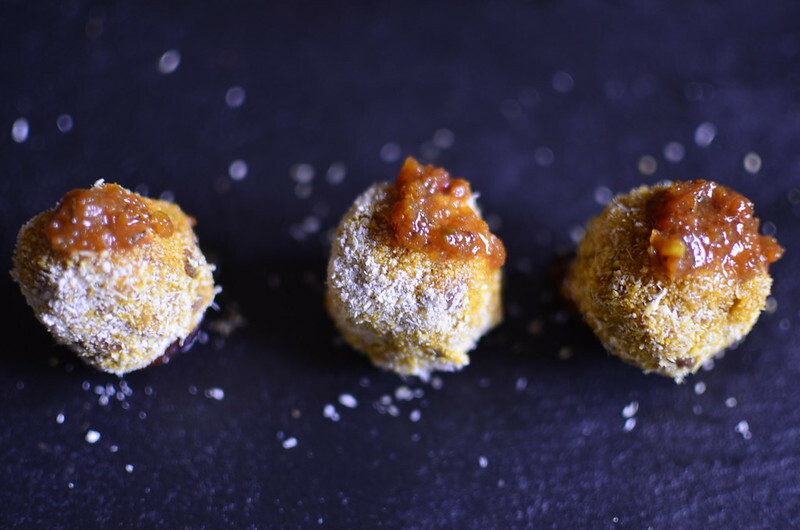 Those Avocado ‘truffles’ sowed a seed and made me think of beans and garri truffles – vegan, gluten-free and easy to make/ serve up. And if you ever wonder why this would be necessary…wonder on! 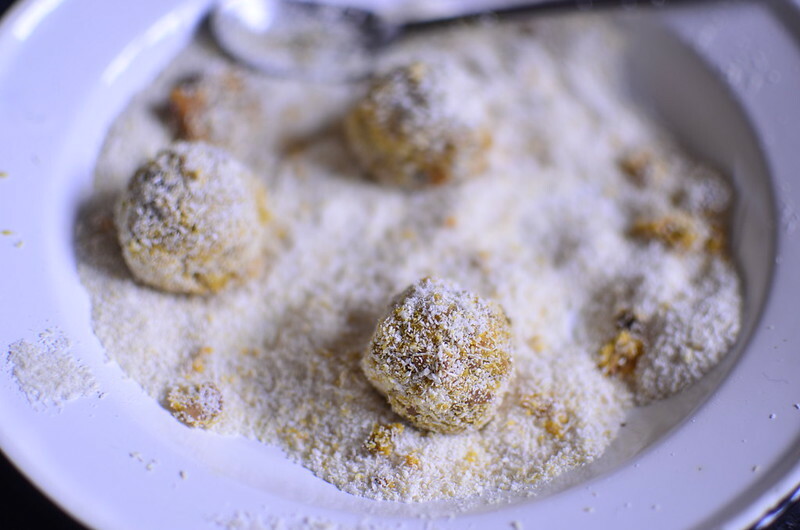 To make the truffles, scoop teaspoonfuls of cooked beans into garri. And top with pepper sauce/ salsa. And herbs if you like. I loved them – and yes, I am partial to my creations. The sweet soft centre is rich, the crust and the sauce perfect complements. I could totally serve this at dinners. Concepts are ideas, not meant alone for headspace. The best ones are tested, worked, shared and improved. Don’t knock a concept you don’t understand – learn how inspiration comes, how big a role memory plays and how much aspirations and dreams shape what ends up on the plate.